Laser refractive surgery is an umbrella term that describes laser surgery techniques that corrects refractive error by reshaping the cornea so that light entering the eye can be focused uniformly onto the retina. 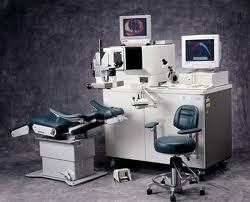 The hallmark is the use of excimer laser to ablate the tissues of the cornea (front window of the eye). If you have myopia (nearsightedness), your cornea is considered too steep and is therefore flattened with the excimer laser. The converse is true for hyperopia (farsightedness), where the excimer laser will steepen your cornea. The invention of the excimer laser and its use on the eye has revolutionized the way refractive error can be treated. While in the past, those with myopia and hyperopia were consigned to a lifetime of spectacles or contact lenses, now there is the option of being able to see clearly while being free from having to wear lenses of any kind. The excimer laser uses ultraviolet light of 193 nanometers to vaporize corneal tissue and is extremely precise. 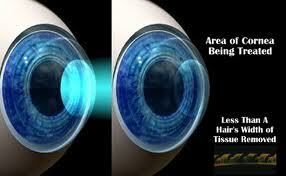 Each laser pulse only removes 0.25 micrometers of tissue. “Just how thin is 0.25 micrometers?” I hear you ask. Well, first consider how thin human hair is. Then imagine a thickness that is 1/200th of a human hair. That's how thin 0.25 micrometers is! In combination with advanced software that performs complex calculations, this laser is able to ablate corneal tissue to such precision and accuracy that gives laser surgery is high success rate. CAN YOU BENEFIT FROM LASER REFRACTIVE SURGERY? 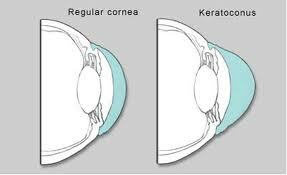 If you have keratoconus, which is a disease that causes progressive thinning of the cornea and consequent progressive myopia, then you are not suitable for laser refractive surgery. Other conditions that will preclude you from laser refractive surgery include pregnancy, severe dry eye, cataract, previous herpes infection of the cornea, and uncontrolled glaucoma. It is therefore important that you consult your laser refractive surgeon for a thorough eye examination so that your suitability for surgery can be assessed fully. In particular, you must report any health issues you have to your surgeon, regardless of how trivial you feel they may be. Progressive thinning of the cornea in keratoconus causes a progressive increase in myopia and astigmatism. Keratoconus cannot be treated with laser refractive surgery, but it can be controlled with collagen cross-linking with low dose ultraviolet light and vitamin B12 drops. There are different laser surgery techniques available, and they are broadly classified into flap procedures and surface procedures. Both types of procedures achieve similar visual results. The cornea consists of 5 layers: epithelium (outermost layer or 'skin'), Bowman's membrane, stroma (thickest central layer of the cornea), Descemet's membrane, and endothelium (innermost layer). In flap procedures, a blade or laser is used to cut a thin flap from the corneal stromal tissue. This flap remains attached to the rest of the cornea by means of a small hinge. 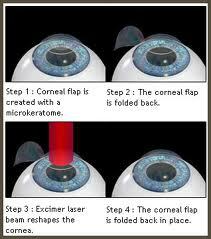 The stromal flap is then lifted to allow the excimer laser to cut and remodel the corneal stromal tissue underneath. Once the remodeling is complete, the stromal flap is repositioned at its original position. An example of a flap procedure is laser assisted in-situ keratomileusis, or its more famous acronym - LASIK. In LASIK, a flap is first created from the corneal stroma. After the stromal flap is lifted, the underlying corneal stroma is ablated with the excimer laser. Once complete, the flap is then placed back at its original position. LASIK has now superceded surface ablation laser surgery techniques due to its quicker and more comfortable recovery period. However, studies have shown the long term visual results to be fairly similar to each other. In surface procedures, no corneal stromal flap is created. The corneal epithelium (skin over the corneal surface) is either removed or lifted to allow the underlying corneal tissue to be cut and remodeled by the excimer laser. Examples of surface procedures are photorefractive keratectomy (PRK), laser assisted sub-epithelium keratomileusis (LASEK) and Epi-LASIK. Laser refractive surgery (both flap and surface ablation techniques) is the most popular method of correcting refractive error worldwide. Both types of procedures are very safe and very effective. However, there is always the small risk of complications from surgery. So make sure you know what to expect and always listen to your surgeon regarding any instructions concerning eye drops and caring for your eye after surgery. 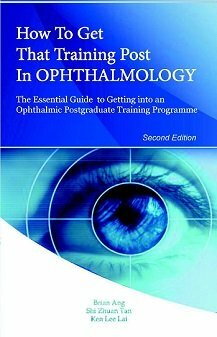 Remember that there are other surgical options available to correct for refractive error. These techniques may be more appropriate in certain clinical situations. Such procedures include phakic intraocular lens implantation and conductive keratoplasty.